As I prepare a sermon for this Sunday on New Wine, I know I need to meditate upon this quote by Dallas Willard. 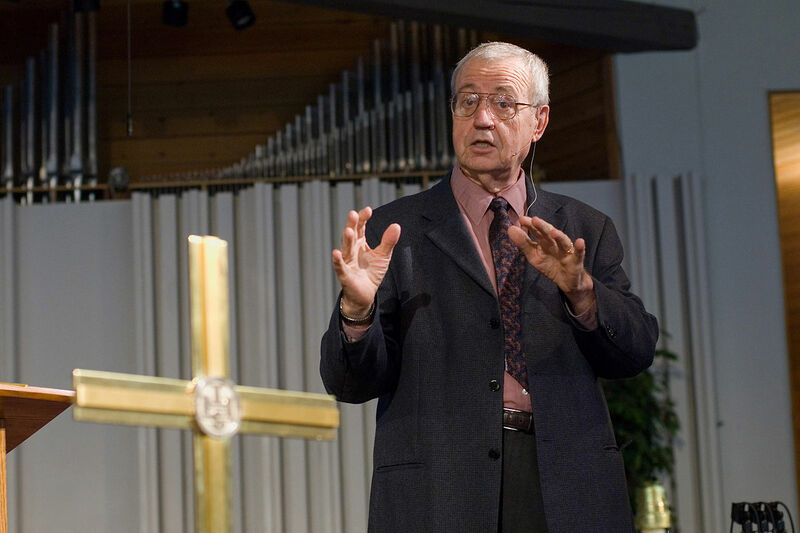 ― Dallas Willard, The Great Omission: Reclaiming Jesus's Essential Teachings on Discipleship, 2006, HarperOne. I suppose this is how people get on to writing memoirs – thinking about one’s own life is a slippery slope that soon has the writer believing that others would be interested in reading about their childhood, first date, and, for that matter, goals of life. Many of us spend time considering how we will be viewed by posterity. The question is, will anyone be remembered by posterity? Our obsession with the celebrity of the moment has been accelerating for many years. “Fame, notes Braudy, has become so immediate that it has lost its posterity. We have a growing sense of impermanence. ‘With the media you have the sense that our entire definition of true fame is visibility. We eat people up a lot faster’ he contends…. That quote is enough to scare me away from celebrity status, or at least temper my drive toward being known in the world. Perhaps the goals for my next thirty years should be less about how I will be viewed by others and more about helping others find their voice and bettering their world. Phil Vassar’s song goes on to suggest that for his next thirty years he will focus on his family. In my next thirty years. This is certainly a noble goal for all, and it is the primary concern of one approaching 30. At 58 there are still many ways to help my family and encourage them in their growth; but now it is much more about modelling a lifestyle that reflects concern for the rest of the world. What if I spent the next thirty years of my life seeking freedom for those in prison, recovery of sight for the blind, and release for those who are oppressed? What effect might my small life have on the attitudes of my family, those around me, and the world in general? I will certainly continue to aim high, for as Longfellow has said, “If you would hit the mark, you must aim a little above it: Every arrow that flies feels the attraction of earth.” But, at 58, I have a greater recognition of my small place in the universe. I will no longer seek celebrity status, but rather my place in the universe, the family of humanity, and the Body of Christ. Perhaps I can more readily accept my place among others. Emerson once said, “Accept the place the divine providence has found for you, the society of your contemporaries, the connection of events.” This too is a goal worthy of one approaching 60. So, let us celebrate our age, wherever we find ourselves. May our good Lord give us the grace to see ourselves as others see us and may others see us as those who care for others. 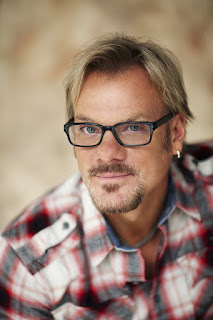 Phil Vassar, My Next Thirty Years,” words and music by Phil Vassar “from the album Greatest Hits, https://www.youtube.com/watch?v=gjvQGwaCeOo. Also recorded by Tim McGraw. Phil Vassar, My Next Thirty Years,” words and music by Phil Vassar “from the album Greatest Hits, https://www.youtube.com/watch?v=gjvQGwaCeOo. Robert Burns, “To A Louse,” 1786. These laws would prevent the kind of military drones now being contemplated by the Pentagon as they discuss policy with Google and other leading AI industrialists. It would be very easy for drones and AI drones to take over conventional warfare. Such laws, if written into international law, would have the potential to demilitarize the AI and Space frontiers and prevent us from reverting to a “wild-west” mentality in these spheres of influence. The UN (including the little known United Nations Office for Outer Space Affairs [UNOOSA]) would need to be given authority to oversee and gain cooperation from member nations - and therein lies the difficulty. The recent launch of a swarm of private artificial intelligence satellites, each about 10 centimetres across, demonstrates how difficult it is to enforce the laws. These recently launched satellites are so tiny that they cannot be tracked and could pose a navigational hazard for the International Space Station (ISS) and other satellites encircling the globe. Swarm Technologies was denied permission to launch these satellites from within the United States, so they found a carrier in India willing to send them aloft. So, if we can’t enforce the rules, laws, and guidelines already in place, how could we enforce the three laws of robotics? Yet, it seems we must try. My recent Bible readings addressed the topic of “good judgement.” What does good judgement look like in some of these recent developments? I leave that for the reader to meditate upon as we read the following excerpt from the book of Proverbs. Asimov, Isaac (1950). "Runaround". I, Robot (hardcover) (The Isaac Asimov Collection ed.). New York City: Doubleday. p. 40. ISBN 0-385-42304-7. This is an exact transcription of the laws. They also appear in the front of the book, and in both places there is no "to" in the 2nd law. 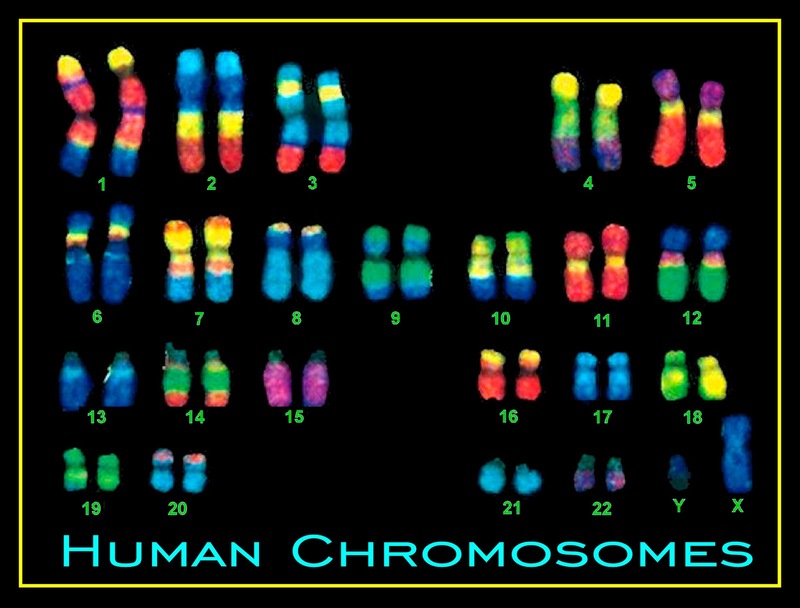 Human Chromosome 2 is an interesting example of evidence that suggests God used evolution to create humanity. Darrel Falk has made a series of YouTube videos that explain why he believes that Chromosome 2 is evidence for God using evolutionary processes. Here I will explain the basic concepts and leave it to the reader to investigate further. Chromosomes organize and constrain this DNA into discreet packages that allow the DNA to be copied, moved around, and accurately passed from one cell division to another and from one generation to the next. The ends of the chromosomes have distinct DNA structures called telomeres. In humans, the sequence of these telomeres is a number of repeats of TTAGGG and these telomeres prevent DNA from unraveling, much like the tips on the end of shoelaces prevent our shoelaces from fraying. 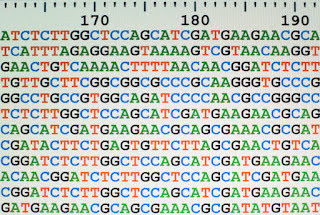 Chromosomes have centromeric structures near the centre of the chromosomes where proteins look for specific conformations or shapes of DNA on the chromosome to grab the chromosomes and pull them in a specific direction when cell division such as mitosis or meiosis occurs (two forms of cell division in which the appropriate amount of DNA must be segregated into each cell). Telomeric structures would be at the ends of each chromosome and centromeric structures would be at the darkened and pinched-in point generally toward the middle of the chromosome. Different species of animals have different numbers of chromosomes. Here is a list of some animals and their chromosome number. I will continue to speak of the number of pairs of chromosomes in the typical animal, rather than the total number of chromosomes. and bonobos (pygmy chimpanzees), 24 pairs. These last four entries represent the great apes and are especially interesting to the rest of this article and we will pursue this topic more in the next few paragraphs. But before we get there, let me remind the reader that plants also have distinct numbers of chromosomes and we could list some of those as well. The coffee plant has 22 pairs of chromosomes whereas the pineapple has 25 pairs. The number of pairs of chromosomes is one mechanism that acts as a boundary between species and prevents the crossing of one species with another. There are a few rare exceptions such as horses and donkeys in which cross-breeding is possible despite different chromosomal numbers, but for the most part, such crossings fail. This is sufficient background regarding our DNA and its packaging into chromosomes to remind us that our bodies are fearfully and wonderfully made and that there is still much to learn about how the mechanisms of genetics work. Now we come to the interesting instance of human Chromosome 2. 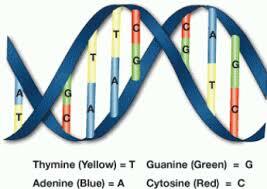 As noted above, humans have 23 pairs of chromosomes while the great apes have 24 pairs. If we look closely at and compare the chromosomes of humans and the great apes, a good deal of similarity is noted. G-banding patterns are a crude method of looking at the overall structure of chromosomes, but they are instructive in showing the similarities of chromosomes. 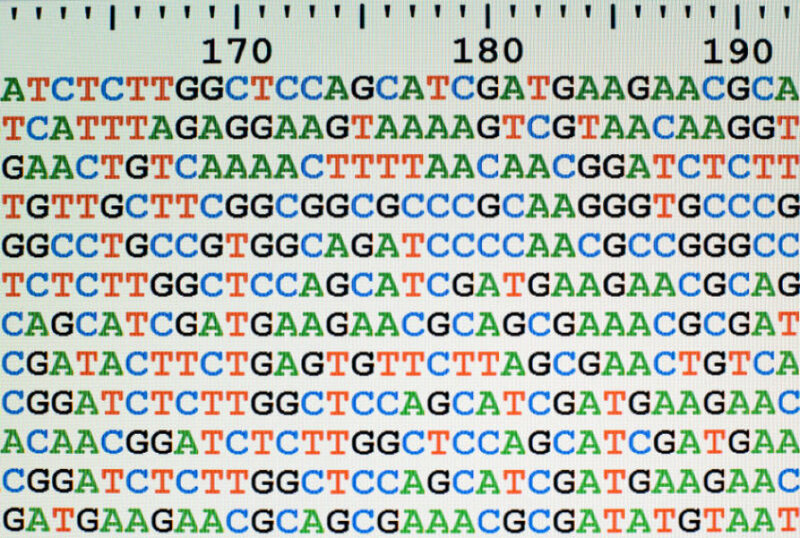 Traditionally, this G-banding technique has been used to uniquely identify and arrange each of our 23 pairs of chromosomes. Of particular note is the similarity between human chromosome 2 and ape chromosomes 12 and 13. The picture below shows the similarity in banding patterns of the human chromosome 2 compared to the banding patterns of two chimpanzee chromosomes. What becomes immediately apparent at a crude structural level (and is further borne out in the actual DNA sequence of the chromosomes) is that human Chromosome 2 looks like a fusion of two chimp chromosomes. In fact, as we analyse the DNA sequence of human Chromosome 2, we find telomeric repetitive structures in the middle of Chromosome 2 (when they should only be at the ends of the chromosome) and a second, non-functional, centromeric structure where one would expect it would be if the chromosome resulted from a fusion event. 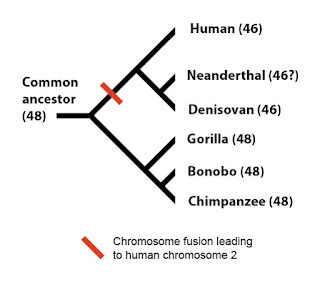 What this suggests is somewhere in the evolutionary development of humans, a fusion event occurred which resulted in the reduction of the number of chromosomes to 23 pairs for the humans and human-like species, while the great apes continue to have 24 pairs. The following diagram represents the phylogeny (or family-tree) with regard to this one feature (note, this diagram speaks of 46 and 48 chromosomes rather than 23 and 24 pairs). The question mark next to Neanderthals in the diagram represents the fact that, although the chromosomal number for humans and Denisovans has been experimentally confirmed, we do not presently have DNA of sufficient quality from Neanderthals to experimentally confirm that Neanderthals indeed had 23 pairs of chromosomes. Such evidence supports the idea that God used an evolutionary process to create species including the human species. It would indicate that we share a common ancestor with the great apes and that at a certain point in the evolutionary process our line diverged from the family tree of our ape cousins. It does not detract from God as creator and does offer insight into the mechanisms he used as he created. A blog of this nature can only whet the reader’s appetite for further investigation into such topics. As previously stated, Darrel Falk’s YouTube videos may be the next place to turn for further understanding. The BioLogos website at biologos.org is always a great resource. Perhaps this blog might also open doors for respectful conversation, logical analysis, and a hunger and thirst for truth wherever it may be found. God is indeed the great creator and the mechanisms of biology are no surprise to him. We can continue to be confident that he is guiding the universe and guiding his revelation to those who seek him. I didn’t go to religion to make me happy. I always knew a bottle of Port would do that. If you want a religion to make you feel really comfortable, I certainly don’t recommend Christianity. I am tempted to create a blog post by simply stringing together a series of Fleming Rutledge quotes. The words she uses are often adequate to spark the mind and generate combustion. However, I shall do more than that; I shall interact with some of her writings on the atonement rendered by the death and resurrection of Jesus of Nazareth. Much of what I write here will stem from my reading of The Crucifixion: Understanding the Death of Jesus Christ, Fleming Rutledge, Eerdmans, 2017. But, some thoughts will have their origin in other writings and interviews with Rutledge. Fleming Rutledge, The Crucifixion: Understanding the Death of Jesus Christ, p. 127. Fleming Rutledge, The Crucifixion: Understanding the Death of Jesus Christ, p. 131. 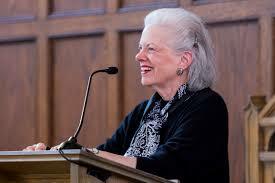 Her theology is not one that suggests we can achieve human happiness or self-actualization through human achievement. She is clear that the only hope for humankind is the cross of Christ and the intercession of God. God has clearly entered into history in the incarnation, death, and resurrection of Jesus Christ, and Rutledge sees this as the only hope of a world gone wrong. Fleming Rutledge, The Crucifixion: Understanding the Death of Jesus Christ, p. 141. Fleming Rutledge, The Crucifixion: Understanding the Death of Jesus Christ, p. 14. I am Ilúvatar, those things that ye have sung, I will show them forth, that ye may see what ye have done. And thou, Melkor, shalt see that no theme may be played that hath not its uttermost source in me, nor can any alter the music in my despite. For he that attempteth this shall prove but mine instrument in the devising of things more wonderful, which he himself hath not imagined. J.R.R. Tolkien, The Silmarillion, p. 15-18. Fleming Rutledge, The Crucifixion: Understanding the Death of Jesus Christ, p. 44. In The Crucifixion, and also in her other works, Rutledge even goes so far as to say that Jesus’ descent into Hell was a necessary aspect of his death on the cross. Fleming Rutledge, And God Spoke to Abraham: Preaching from the Old Testament, p. ? Notice Rutledge’s carefully chosen words here. She is purposely saying that it was God who died on the cross. She distinguishes an important concept by saying this rather than speaking of God’s Son dying on the cross. This does indeed differentiate the crucifixion from child-abuse (some have disparagingly suggested such an explanation of the cross) and Rutledge emphasises how it was God, who came to earth as a human; it was God who suffered; it was God who died; it was God who paid the price; it was God who descended into Hell to set free the captives. 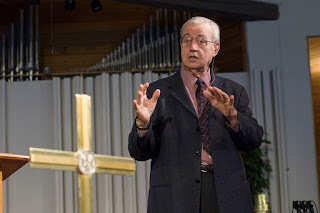 “We have to come to terms with what seems to be godforsakenness in the world. Many people find that difficult or even impossible. And people who find it difficult or impossible will probably not come to church on Good Friday and will concentrate on the happy aspect of the faith. But I think that’s too bad, because the real depth and strength of the faith is its facing of the worst, and the fact that Jesus faced and endured the worst is ultimately, for many, the only comfort we have in the extremities of the kind of situations that I’m talking about. Rutledge is a gift to the church at this time in history. I encourage all to read her writings and particularly her latest, The Crucifixion. Fleming Rutledge, “Interview with Rev. Fleming Rutledge,” Religion and Ethics News Weekly, April 19, 2013, http://www.pbs.org/wnet/religionandethics/2013/04/19/april-18-2003-interview-with-rev-fleming-rutledge/18886/.